This BlackBerry vs. T-Mobile spat has turned in to a real game of cat and mouse. After BlackBerry announced it was ending its contractual agreement with Tmo to sell new devices, it started offering $100 towards any new unlocked device from ShopBlackBerry. In response, T-Mobile has announced that it will continue to support BlackBerry users and sell any existing inventory. To top it off, John Legere posted to the company blog announcing that between now and the end of the year, BlackBerry fans will receive $100 credit towards any new BlackBerry through T-Mobile. Counteracting BBerry’s own offer. “In fact, to show our appreciation for all current consumers so passionate and loyal to all things BlackBerry, we’re offering a $100 credit toward any new device, including the BlackBerry Q10 or the Z10. And this offer is good through the end of the year. So you can take your time. While the offer gives you until the end of the year, in reality it will only last until all of T-Mobile’s BlackBerry inventory is depleted (since they won’t be receiving any new stock from April 25th). Let us know if you plan on taking advantage of the offer. ← OpenSignal testing ranks T-Mobile’s LTE fastest network in the U.S.
Hey cam or anyone, what’s the coupon code to get the blackberry directly from them? Does “any new device” mean “any new BLACKBERRY device”? Well to me, “Any new device” means “any new device” and it does not have to be a blackberry. Actually, his blog post states it’s good on any smartphone. Something tells me they might have inventory still by the end of the year. The Z10 and Q10 weren’t exactly flying off the shelves before. The problem with T-Mobile is *nearly* all of their devices are overpriced by about $100 compared to other retailers, with the BlackBerrys it is even worse. I can’t decide if John Legere is pretending to be the nice guy or is genuinely concerned about losing the BlackBerry sales contract. The real problem with T-Mobile is the inability to get a fair amount of data for domestic off-network roaming. Not really. Most companies have a clause that state how much off data roaming you can use and it is usually very low. Sprint used to be 300mb with their everything plans and now on the new framily plan its even lower. I don’t remember how much but it may be 100mb or lower. Well that’s just an extension of the larger problem of them not having decent coverage. If you got TMO coverage everywhere you went you would never need to roam on AT&T’s network. That’s definitely true. Luckily I don’t travel anymore for work and therefore I can deal with having great coverage where I live and a couple dead spots that last less than 2 minutes while I drive when I go on vacation. Luckily their upgrading their 2g to LTE and I can’t wait. I hope their announcements this week have to do with increased coverage. Their not overpriced. Their just at full retail price since there are no subsidies. You want to know the solution to this? SWAPPA. Pretty sure adding $129 to the price would qualify as overpriced. Add that blackberry is unlocked and is also offering $100 credit. That I did not know. That is wrong for sure. As yankeeusa mentioned it’s not really fair to compare TMO to other carriers that offer “subsidies” but turn around and charge higher prices. 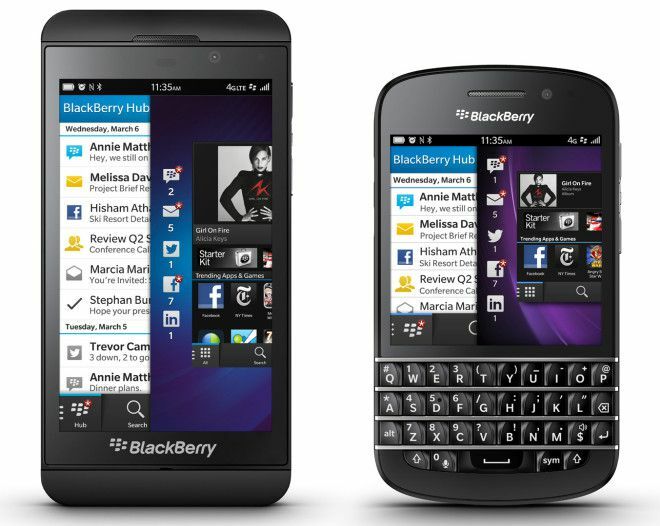 I think the motivation for this is in response to RIM offering $100 to buy a new BB direct from them. I haven’t checked (don’t care that much) but I’d expect the direct price is roughly the same as the “unsubsidized” price from TMO so if RIM takes off $100 they will be selling for less than TMO and their existing inventory gathers dust. Maybe I should have clarified, but when I say T-Mobile is overpriced I am referring to non-contract, unsubsidized prices. Take the BlackBerry Q10 for example, T-Mobile charges $528 which outrageous compared to AT&T at $389, Verizon at $399, and ShopBlackBerry at $399. These are all the standard prices sans any discounts or offers that have been in effect for the past few months. Which is still more expensive than the regular, everyday price you can buy the Q10 at from AT&T, Verizon, and ShopBlackBerry.com. They want to dump stock. If BB makes a compelling offer and sells direct, Tmo inventory sits around even longer. I think they want this gone ASAP. I sense some ill will towards BB. Legere is cleverly spinning this as pro-consumer. So is this another blackberry trade in promotion, but now is only 100$? i have been hoping for a blackberry “fire sale” to buy one as a side toy, but it just hasn’t happened.